Our shipping is done by USPS priority mail. 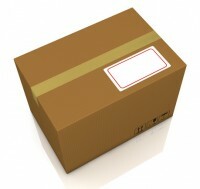 The base price for shipping is $6 with a small shipping cost per item depending on the size of the item. All of our shipping is done to the Continental US only! If you would like items shipped to Alaska, Hawaii or anyplace outside the Continental US, please contact us directly to arrange for shipping. You need to select an item before it shows up here. Back to the Shop Page or Back to the Sponsor Page.